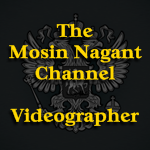 Southern California Mosin Owners • View topic - Has anyone had experience with product from Kalinka Optics? Has anyone had experience with product from Kalinka Optics? iridium-192 wrote: Do you know what a word "Рысь" on a side of you scope means? It means "Bobcat". "Bobcat"? I've had that scope for nearly 26 years and now I've finally learned what the writing on it means. I would have tried google translate, but I don't know how to make my keyboard type Russian Cyrillic letters. Thank you very much for the link to Zenit-Belomo as well. I clicked the link and before I knew it I must have spent two hours browsing their site last night. That makes sense. The rifle that scope was mounted on looked more like a sporting rifle, and it was actually chambered in .308, not the Soviet 7.62x54R that one might expect. Unfortunately, the Marine Corps would only allow the scope to come back. It's probably just as well, the rifle was pretty banged-up, and may have been dragged all over the African continent prior to finding it's way into the hands of a Somali sniper.